The fence around your yard is more than just a barrier to keep dogs or kids from getting out to the busy street, or to keep other people, pets, and animals out. When you do it right, a fence can be a beautiful addition to any home or yard, and come with the added advantage of keeping the things you want in or out of your backyard. Fortunately you’re not limited to just chain link or vinyl fencing these days, and if you really want a fence that will stand out, check out ornamental iron. 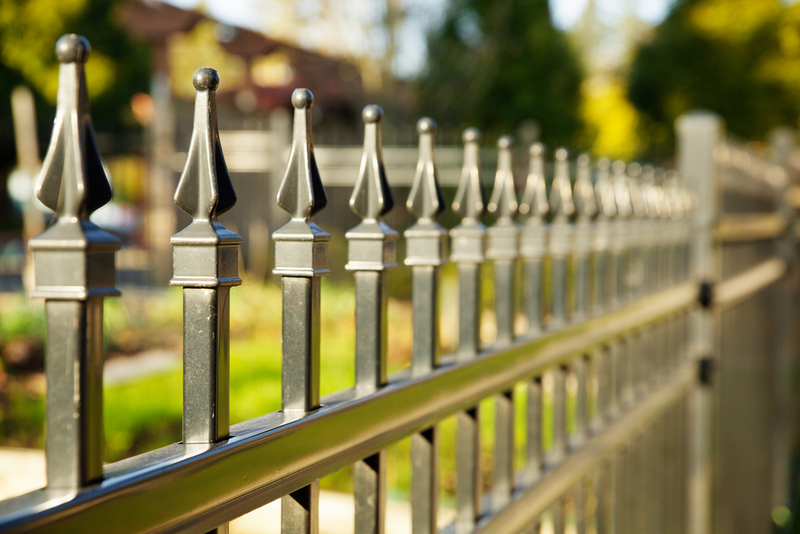 Here are some tips to help you choose the best ornamental iron fence. Before you decide on an ornamental iron fence to surround your home and yard, be sure to take the time to check out a huge selection of options that are available. One of the main advantages of this type of fencing is the immense array of choices that are out there, from pre-made designs to custom designs that perfectly fit your style. They come in sizes that are tall and short, thick and thin, so you can find the ideal fencing for your home. If your fencing company in Utah doesn’t have a huge selection for you to choose from, start shopping around to make sure you get exactly what you want. It’s great to have a good-looking fence, but the purpose of most fencing in Utah is more than just to look amazing. For many homeowners, these fences serve the dual purpose of securing your property. Whether you need to secure it to keep unwanted visitors out, or you have small children or pets that you need to keep in the yard, it’s important to review those needs and compare them with your fencing options. If, for example, you have a pet that could wiggle through small openings, it’s important to choose a design that has fence posts close together. Choosing the right fence can make or break a property, so before you start digging the postholes, it’s important to work with someone who knows fences. You can talk to an experienced fence company representative who will help you identify your needs and the specific style you want for your ornamental iron fence in Utah. From there, an experienced fence company representative will be able to show you all the fencing that meets your needs so you can choose the perfect style, get the right powder coating or finish, choose the security level that meets your needs, and work out the installation details. While you could do all this on your own, working with someone who knows Utah fences makes it a lot easier. When you need an ornamental iron fence in Utah, check out the huge selection and talk to the professional fence experts at United Fence Co. today.